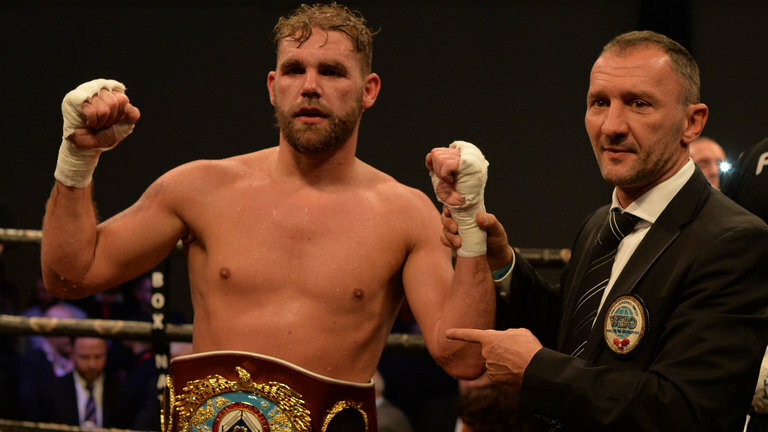 WBO middleweight champion Billy Joe Saunders 26-0 (12) isn’t concerned by what people say about his last fight against Canadian power-puncher David Lemieux, insisting he is only focused on his next opponent Martin Murray 36-4-1 (17) who he will face at the O2 Arena in London on June 23. At six-foot tall the 35-year-old veteran from St Helens will have a bit of size on the WBO champion, but Saunders insists it won’t make a difference on fight night. “Martin has a little bit more range and reach than me, but size doesn’t matter when you have the will to win,” he said. Murray will be hoping the fifth time’s a charm after previous losing world title fights to Arthur Abraham, Gennady Golovkin and Sergio Martinez. In his first world title tilt in 2011 he had to settle for a draw against Felix Sturm in a fight that many people felt he deserved to win. Saunders’ promoter Frank Warren says he expects a tough contest from Murray in what will likely be his last opportunity to win a world title. “This is a very tough fight for Billy Joe Saunders. Martin Murray isn’t coming to London to make up the numbers. Bill can’t afford to slip up,” he said.